EDITOR/HOST: Matt Pillischer, Esq., organizer, producer of Broken On All Sides. 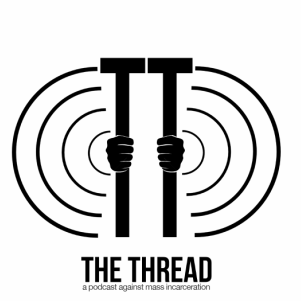 INTERNS: Zachary Sturiale & Jordan McIntyre, to assist with the planning, production, promotion of the podcast, as well as the organizing of study groups and the creation of organizing/study materials. Joe Cleffie, anti-racist organizer, socialist activist & writer, and father of a daughter who is a budding activist herself. J. Jondhi Harrell, reentry expert and founder of The Center for Returning Citizens, organizer, formerly incarcerated. Rev. Karen Hernandez-Granzen, pastor at Westminster Presbyterian Church, specializes in multicultural and urban ministry. Leonard C. Jefferson, artist, author, and activist, incarcerated. Marlene Martin, former Executive Director of Campaign to End the Death Penalty, organizer. Five Mualimm-ak, reentry expert and founder of Incarcerated Nation Corp, organizer, formerly incarcerated. Azadeh Shahshahani, Esq., former president of National Lawyers Guild, immigrants’ rights organizer, Legal & Advocacy Director with Project South. Theresa Shoatz, family of incarcerated, organizer, Human Rights Coalition. Heather Ann Thompson, Historian, professor. - ongoing ways to improve the project. The Editor will make final decisions, with advice of the Advisory Board. Theme music is from Die Jim Crow EP, available at diejimcrow.com. Read about the working principles on which this project is founded.